Why don’t the Tories just dump Theresa May? She has provenly lied to the British people that ‘Brexit means Brexit’ when we can all now see that Brexit doesn’t even mean ‘Remain’, but permanent vassal status. 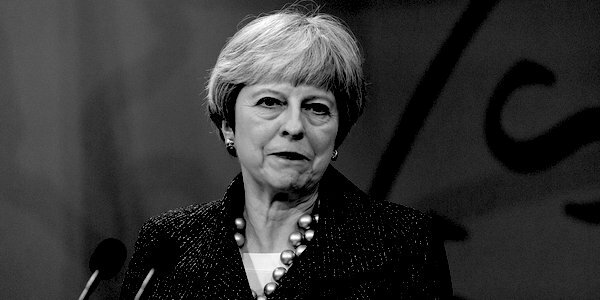 Moreover, she has very seriously misled her colleagues, Parliament and the country: according to Steve Baker, the Department for Exiting the EU proved to be a ‘Potemkin’ department, completely sidelined by Downing Street. Our entire nation and way of life stands at the brink of total disaster, her reputation is destroyed but still she clings on. Astonishingly, it is said that even now she would survive a vote of no confidence amongst her MPs. The payroll vote. The numbers of executive positions in our government has swelled in recent years, and May was returned to power without even a simple majority. This means the ratio of those who draw a ministerial salary relative to those sitting on the back benches is abnormally high. Not only does that help buy off those in position, but back-bench MPs know that they have a much better than usual chance of filling a minister’s shoes should they become vacant. Paradoxically, May’s personal position might be weaker with a bigger majority. The relative youth of the administration. May has been in power for only two years and we are only one year into the electoral cycle. Many ambitious backbenchers or junior ministers will still hope for preferment under her. A failed coup would mean being out in the cold for at least four years and perhaps for ever. Fear of an election. A new leader may well mean a general election, with all the career uncertainty that entails. Contempt for activists. Tory activists are furious and resigning en masse. You would think this would worry Conservative MPs. However, the controlling interests within the Tory Party have always hated their activist base and some will go against the grass roots’ views on general principle. Contempt for the people. The political class generally have an extremely low opinion of the British people, and gambled that most of us were bored with Brexit and wouldn’t notice the extent of their betrayal. Besides, they reason, fear of a Labour government, especially one led by Jeremy Corbyn, will bring tribal Tories back into line. Such people point to the stability of the opinion polls as vindication of this position. It is on this last point, the opinion polls, that May’s future really hinges. On Saturday a poll was released showing a sharp decline in Tory support, lost to an astonishingly resurgent UKIP on 8 per cent. If that continues, May’s future will indeed be ‘kippered’. However, whatever happens now, it is highly likely that the Tory Party will sustain very serious and permanent damage. Whatever its grandees may think, people are not stupid and will see very clearly the sequence of events and when the party chose to act: not through principle – a few individuals such as Steve Baker aside – but through selfishness and venality. It was ever thus, but this time the Tory goose may be well and truly cooked. Previous articleBBC Watch: Hardline news – who else is on the hitlist?